Experience the best diving in the world as you dive the second largest living coral reef. The Belize Barrier Reef is approximately 185 miles of coral formations and home to more than 500 different species of fish. 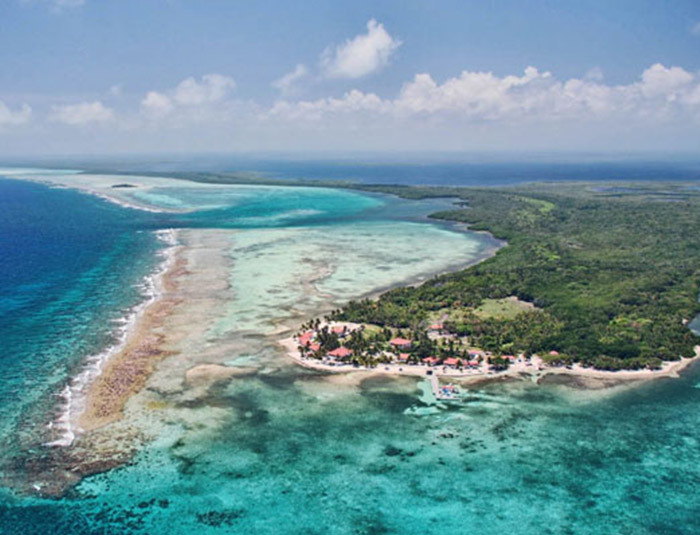 On your tour of the Southern Barrier Reef, you will travel to pristine dive spots between the idyllic, sandy isles of Tobacco Caye and South Water Caye. 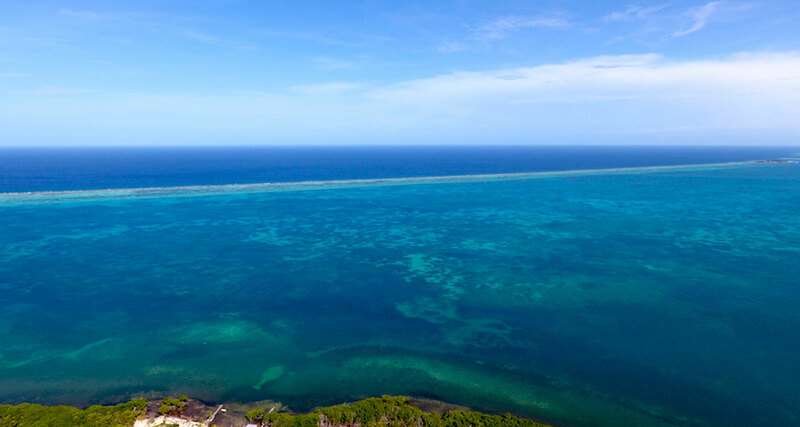 So what makes the Southern Barrier Reef so special? Many tourists visit the Northern portion of the reef off the coast of Ambergis Caye. The Southern Barrier is often less traveled so it is pristine, untouched, and quiet! Belizean Dreams divers have seen turtles, eagle rays, southern stingrays, nurse sharks, and even dolphins and manatees up close and personal. This 2-tank dive is only 10 miles away via boat. It requires a beginners dive certification. For those interested in snorkeling, this tour is also offered as a Snorkeling Tour. The Southern Barrier Dive Tour is included in our Ultimate Dive Package. Turneffe Reef Atoll is the largest atoll in Belize, about 30 miles long and 10 miles wide. 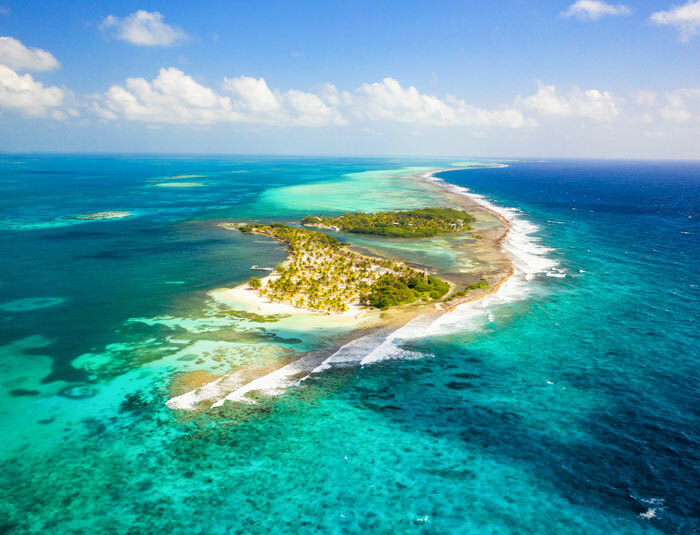 Unlike the other atolls in Belize that are a collection of sandy cayes, Turneffe Atoll is made up of a series of mangrove islands, lagoons, and inlets covered in lush tropical vegetation. The healthy mangrove and lagoon habitats provide a pivotal nursery for a variety of species including fish, lobster, conch, and even saltwater crocodiles. There is no doubt that there is plenty to see while diving Turneffe Reef Atoll! From shallow flats to shipwrecks and reef drop-offs, the multitude of dive sites on Turneffe provides something for every level of diver. One of the more popular dive sites, “The Elbow” is a dramatic reef drop-off featuring schools of jacks, groupers, and snappers with visibility at about 100 feet. This 3-tank dive trip is the most northeast of the three atolls. This dive can be done with either a beginners or advanced certification, depending on the depth. For those interested in snorkeling, the Turneffe Reef Atoll Tour can also be offered as a Snorkeling Tour. The Turneffe Reef Atoll Dive Tour is not included in our All Inclusive Packages. Glover’s Reef is the southernmost atoll in Belize and is a protected marine reserve and UNESCO World Heritage Site. Although this is the smallest atoll, just 20 miles long, it boasts a reef that is over 50 miles long around its edge. This reef is made up of a variety of coral, rocky patches, and small cayes filled with spectacular marine life. 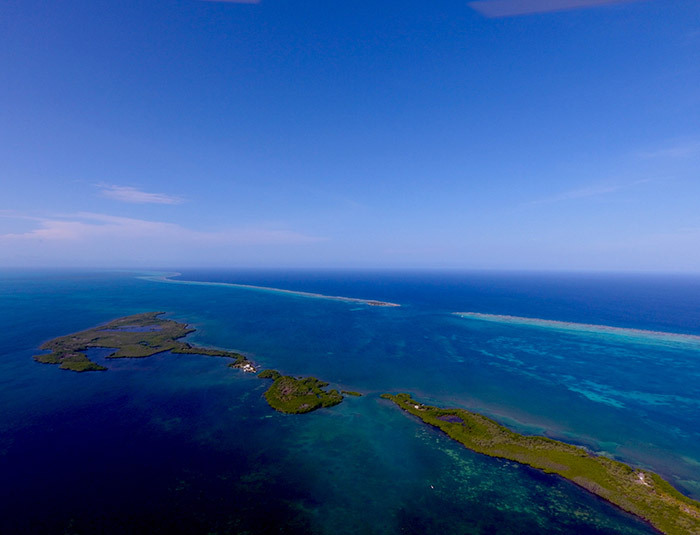 This atoll is surrounded by deep drop-off’s from the reefs edge, including the Long Caye Wall drop-off which starts at 25 feet and then descends into an abyss over 6,000 feet deep with visibility at about 100 feet. The Wall is teeming with coral and is a prime feeding site for animals. Our Glover’s Reef Atoll Dive Tour is every divers dream. This 3-tank dive trip is located about 16 miles due east of Belizean Dreams Resort.This dive can be done with either a beginners or advanced certification, depending on the depth. For those interested in snorkeling, the Glover’s Reef Atoll Tour can also be offered as a Snorkeling Tour. The Glover’s Reef Atoll Dive Tour is not included in our All Inclusive Packages. Scheduled tours are included in various all-inclusive packages. Specialty Tours are not included in our all inclusive packages but can be booked separately by guests.